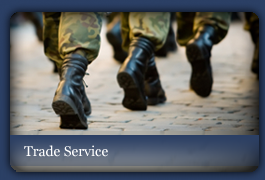 We have been dealing with individual and trade bulk military repairs, in and out of London for over 30 years. We are based in a large factory Within the M25 which is an ideal location for the servicing of all the london based barracks. Our unique factory set up enables us to have adequate space and staff to cope with the fast turn around needed for large military orders. 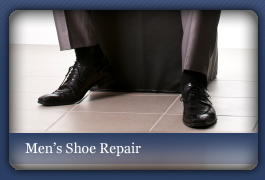 Whether retired serviceman, acting soldier, trade customer or military collector you can be sure we wont be beaten on quality and your footwear will receive the very highest quality repair. General Service boots, Officers parade shoes, Highland brogues, Military bandsmen boots, Mess Wellington's, Chelsea boots, K.M.S boots, Jack Boots, Blues and Royals, and Lifegards. 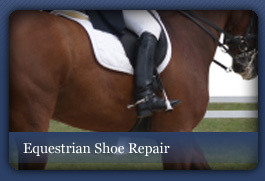 Sole replacement, heel replacement, double tap, re-studing with single triple and penny studs, fitting heel-toe plates, eyelets, new zips, replacing elastic panels,refitting spur rests, fitting spur box and spur tubes, re footing Jack boots, re-welting and so much more. 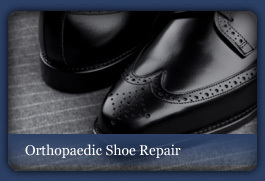 If you would like to discuss the options available to you, please get in contact with us using the details available on our contact us page. We are looking forward to hearing from you.